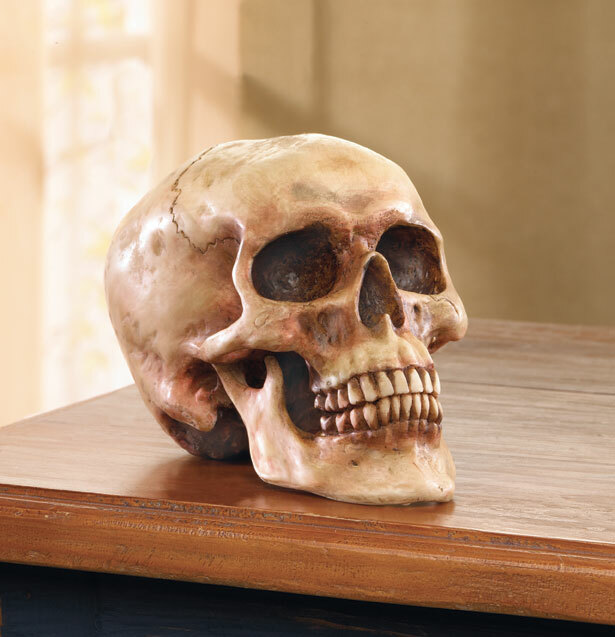 6 1/2" x 4 1/4" x 4 5/8" high, made of alabaster, this is one truly haunting skull. It's painted in such a way it appears that it may have been sitting in a pool of blood. The eye sockets and nose are painted in the same bloody color, also the base and underneath the skull are a bloody color. We almost got sick when we opened the box and saw this for the first time. 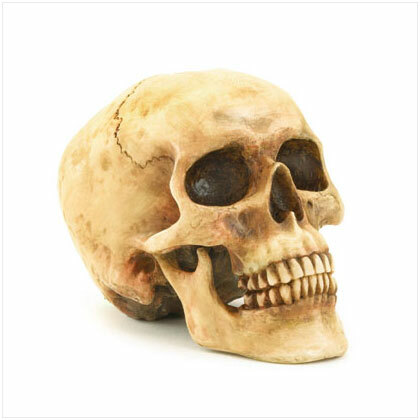 This is a huge seller for Halloween, med students love them too. And you can't beat the price!